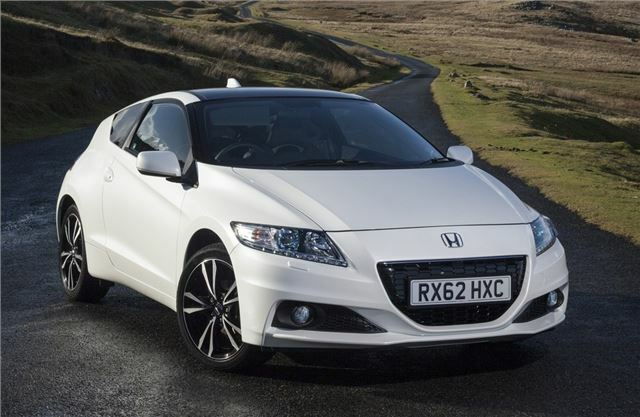 The revised Honda CR-Z is now on sale with prices starting at £20,550 for the Sport version and £23,050 for the top GT model. The hybrid two-seater has been given a raft of improvements including an upgraded interior and more power resulting in better performance. The first cars will be at Honda dealers in January. The CR-Z sticks with the same 1.5-litre petrol engine but power has been increased by 7PS so it now has 121PS. The hybrid system has also been improved with a new Lithium-Ion battery replacing the previous Nickel metal one plus an increase in power from 14PS to 20PS. Together this gives the improved CR-Z a total power output of 137PS and 190Nm of torque which helps reduce the 0-62mph time from 10 seconds to 9.1 seconds for the Sport (and 10.2 secinds to 9.5 seconds on GT models). Economy remains unchanged with an official 56.5mpg and CO2 of 116g/km for the Sport while the GT averages a claimed 54.3mpg with 122g/km CO2. New features inlcude a Sport Plus boost system which is switched on via a button marked S+ on the steering wheel. This adds an electric boost when accelerating giving up to 10 seconds of increased acceleration. Other changes include subtle styling changes and two new paint colours - Aurora Violet and the delightfully named Energetic Yellow. The GT model now gets 17-inch alloy heels as standard. Inside there are changes to the colour scheme and improvements to cabin storage with new interior door designs. Wow. This is another excellent car from Honda. What an invention, what an automaker!